I’ve spent a lot of hours on the road since last Friday … First of all, the kids and I drove almost 400 miles on Friday to meet up with my parents at kind of the half-way point between us (I think I got the longer leg of the trip!). Despite the myriad road work areas between Metropolis, Illinois and Paducah, Kentucky, we had a fun trip – which included a stop at Kohl’s to buy my son new dress shoes. WHY OH WHY do kids wait until the very last minute to tell you that their shoes have holes in them or they need blue pants or their tennis shoes don’t fit … *sigh* Thankfully I had a 30% off coupon and found some nice Sketchers for him. We spent the night and then after some time at the playground, it was time for me and MiMi to hit the road again to go home. At least she got to get re-acquainted with my parents whom we typically only see once or twice a year. 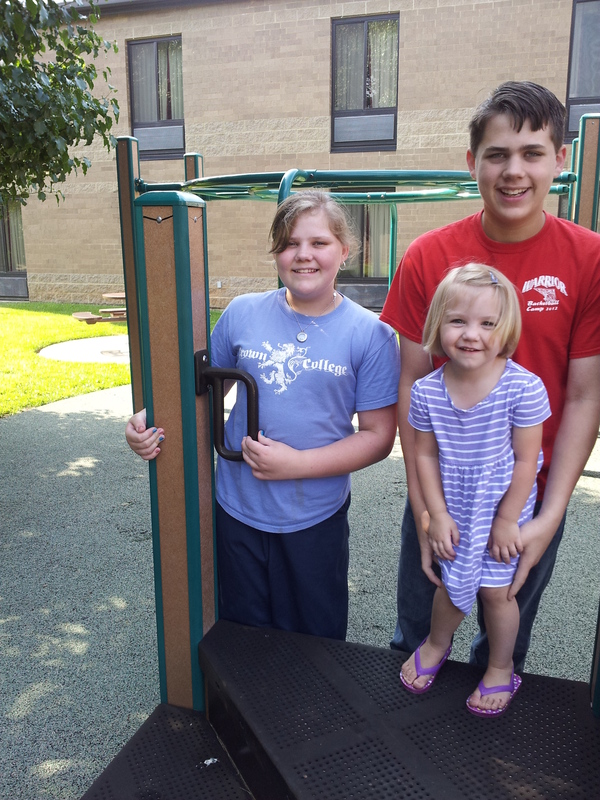 I am thankful that Drew and Annie-Belle get to spend the week with them (well, actually 4 days of that will be at Mt. Moriah Camp). 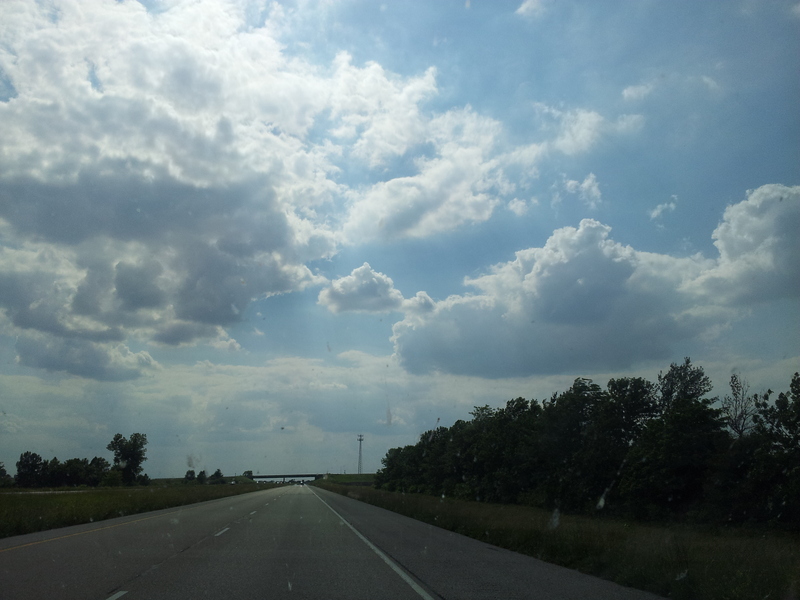 Sunday afternoon found Miriam and I “on the road again” … this time driving west towards Joplin and then south to Northwest Arkansas. 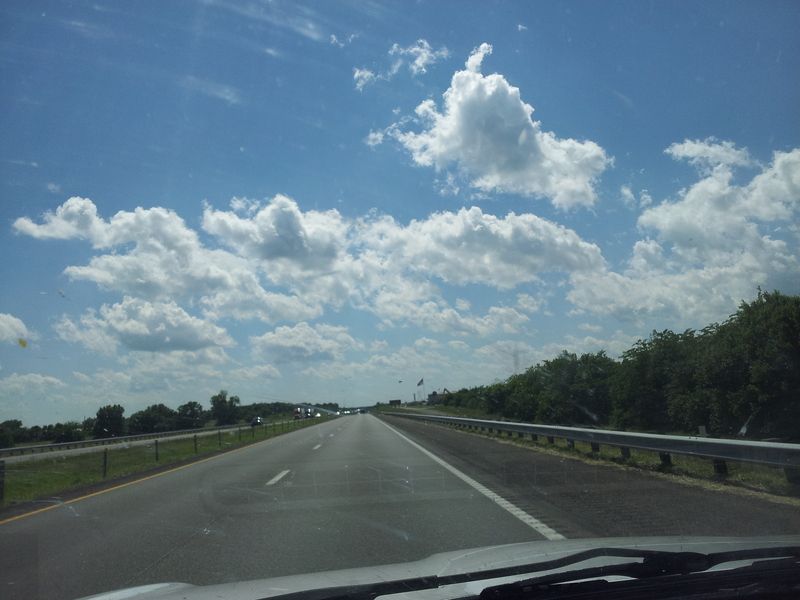 The weather has been GORGEOUS for driving! I think this was a much needed mental break for both me and Daniel. After months of preparing and cleaning the house, it has felt so good to just step away from it for a few days … and for Daniel, I think he has enjoyed having us here when he gets home from a long, 10 hour shift at work. Tomorrow I am going to start looking at the rental market in this area, and maybe talk to a few property management companies about what they have to offer, what areas are desirable yet affordable (for us), and see when I really need to get serious about housing if we want to be moved by the end of July/early August. Meanwhile, MiMi and I have enjoyed the conveniences of city living: Target right around the corner, right next door to Kohl’s, and surrounded by any restaurant or store one may desire! We didn’t shop a lot but we did browse through a few stores … and ended up at a huge McDonald’s play place. And by the way, WHEN did the temperatures all of a sudden soar into the 90s … apparently that happened over night. PHEW – it’s hot. Daniel’s apartment complex does have a pool, so I’m thinking the big kids will want to come down and enjoy that while we still can. So, I foresee us being on the road again several more times in the next few weeks as we continue the transition to Arkansas. PS My parents called tonight with a report from camp … They went to the chapel service there this evening. Both Drew and Annie-Belle have made friends and were busy chatting away with their new acquaintances. I knew they would be fine … but it was nice to hear it from an eye witness. I am praying their hearts will be tender to the messages they will be hearing this week as well as that they will enjoy all the activities and fun things the camp has planned for them. 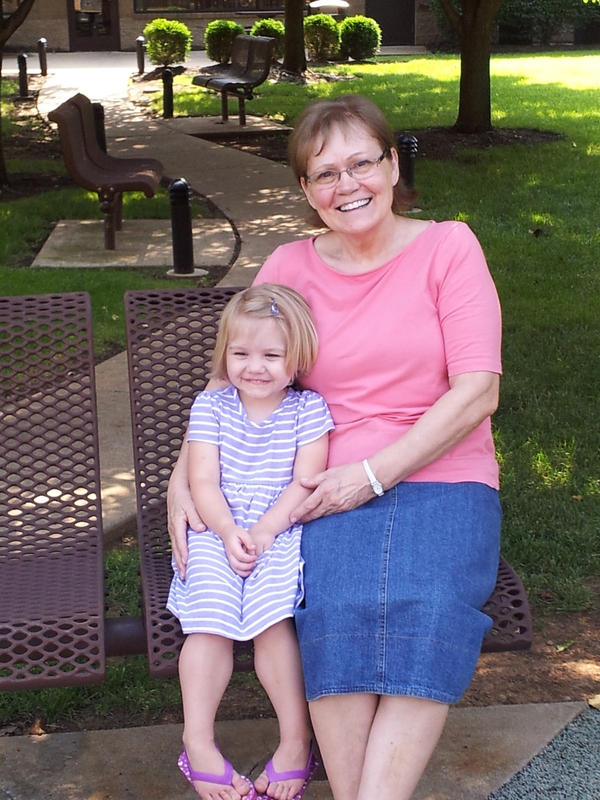 This entry was posted in Annie-Belle, Drew, MiMi, moving, summer, Uncategorized. Bookmark the permalink. Glad to hear the A’s are off to a good start at camp — and thankful with you that they will come home again via *special delivery* next week! Anna looks just like your mom!!!!!! Can’t believe it’s finally happening. It will be nice when you are all settled. Will pray for you as you look for your new place. Living on the Central Coast is Blessed!